Fredericksburg Community Orchestras directed by Theresa Britt and Angelo State Symphony directed by Dr. Fagner Rocha will perform at the 2019 Van der Stucken Festival 2019 on Saturday April 13, 2019 7:30 p.m. at Fredericksburg United Methodist. 1800 N. Llano Fredericksburg, TX 78624. This will be our 29th Annual Van der Stucken Festival. Repertoire for the 2019 festival will be based on the theme will be “A Night at the Movies” and include the following. Larry Wolz, Professor Emeritus of Hardin Simmons University will speak about Frank Van der Stucken. This event is sponsored with the support of Pedernales Creative Arts Alliance PCAA. Seating is on a first come first served basis. There is no charge for this event. There is a suggested donation of $10 at the door. About the Festival: The Van der Stucken Music Festival was founded in 1991 to honor this Fredericks­burg native, born October 15, 1858, to a Flemish father and German mother. 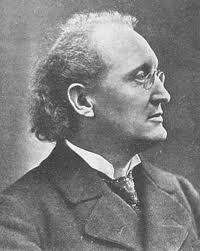 In 1884, Frank Van der Stucken returned to the US to become the director for the Arion Society of New York, one of the leading German singing social organizations in the US at the time. He held this position until 1895 when he began the Cincinnati Symphony. He be­ came the founder and first director of the Cincinnati Symphony Orchestra and what is now the University of Cincinnati Music School. After retirement he and his wife, Maria (Schoenewolf) moved to Hamburg, Germany, to be near his parents in Antwerp, Bel­gium where they moved in 1865 to escape the Civil War; and her relatives in Hildes­ heim, Germany. He died August 16, 1929, and is buried in the Ohlsdorfer Friedhof of Hamburg alongside most other members of his immediate family. Theresa Brittis a professional musician living in Fredericksburg, Texas. She performs as a violinist, fiddler, guitarist and vocalist. She is the director of the Fredericksburg Community Orchestras, a teacher for the Hill Country Youth Orchestras, and maintains a large private studio of violin, viola and cello students in Fredericksburg and Kerrville. She performs in Symphony of the Hills in Kerrville, Mid Texas Symphony in Seguin, and in string quartets for weddings and events. Creatively, she arranges music for string orchestra and is a singer/songwriter. In 2012, Theresa completed a Master’s degree in Music at Texas Tech University. She received her Bachelor of Music from Texas Tech University in 2007. She studied violin in the studio of Dr. Kirsten Yon while at Texas Tech. Dr. Fagner Magrinelli Rocha is Assistant Professor of Music at Angelo State University where he teaches violin and viola and directs the ASU Symphony and Concho Valley Youth Orchestras. Before his appointment at ASU, Dr. Rocha served as Assistant Professor of Violin at the Federal University of Alagoas in Maceió, Brazil. He is currently concertmaster for the Big Spring Symphony Orchestra and also performs with the San Angelo Symphony. Dr. Rocha has appeared as a chamber musician, soloist and pedagogue in South and North America, as well as in Europe. He has been featured at the Lake City Arts Festival (CO), UNESCO (Paris, France), Fredericksburg Community Orchestras (TX), Chamber Music Amarillo (TX), Nathan Schwartzman String Festival (Uberlândia, Brazil), Orquestra Sinfônica da UFAL (Maceió, Brazil), among others. Additionally, he has been a member of several orchestras in the United States and Brazil. Dr. Rocha holds a Bachelor of Music in Violin performance from the Universidade Federal do Rio Grande do Sul (Porto Alegre, Brazil) and a Master of Music and Doctor of Musical Arts degrees in Violin Performance from the Texas Tech University. His doctoral research, entitled “An Analysis of Violin Sound Spectra with Different Shoulder Rests” was awarded 1stPrize at the 6thAnnual Arts and Humanities Research Conference hosted by Texas Tech University in the in 2016. His major teachers include, Dr. Fredi Gierling, Prof. Hella Frank, Dr. Eliane Tokeshi, Dr. Kirsten Yon and Prof. Annie Chalex-Boyle. In 2018, Dr. Rocha received the Kennedy Center American College Theatre Festival Excellence Award for his Original Music Composition and Recording for the play “Wit”. Currently, Dr. Rocha is working on the publication of the musical The Lady in Blue, in partnership with composer Cynthia Jordan, which was premiered in San Angelo in May 2018. This Summer, Dr. Rocha will be presenting recitals in the Italy and Spain and teaching at the Opera Maya Festival in Mexico and Angelo State Music Camp. Dr. Fagner Rocha performs on a modern 2011 Luiz Amorim violin.